FC Barcelona now have their 29th Copa del Rey after victory over Alavés at the Vicente Calderón in Madrid. 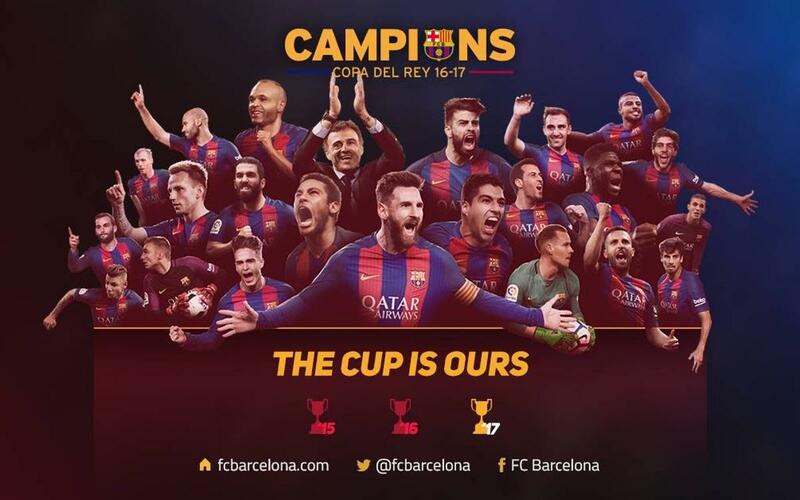 Barça have shown once again that they are the ‘King of the Cup’, claiming the trophy for the third successive season, an achievement the Club had managed previously between 1951 and 1953. Coach Luis Enrique ends his spell in charge by lifting another trophy, the perfect way to say goodbye to his time at the head of the team. Barça end the season with a total of two trophies after also having won the Spanish Super Cup back in August against Sevilla. The final against Alavés was the 21st in Madrid. Barça have won the competition 15 times with six defeats after Saturday’s win. In recent years the city has been kind to the blaugranes as they have won the last five played in the capital – 1988, 1997, 2012, 2016 and 2017.